Some people hate it. I love it. 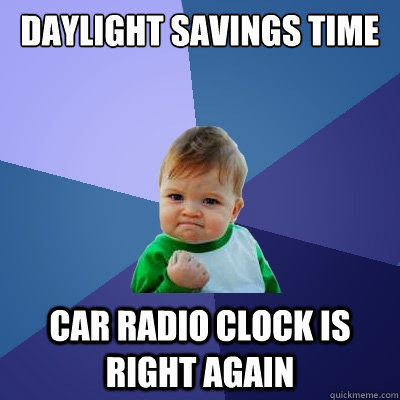 I agree with the state of Florida that is currently considering making it Daylight Saving Time year round. It is the change part I don’t like. 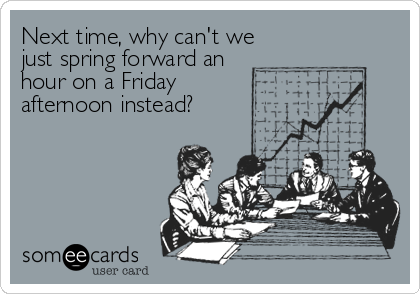 Besides having to change the clocks I am never thrilled at the concept of losing an hour of my weekend. 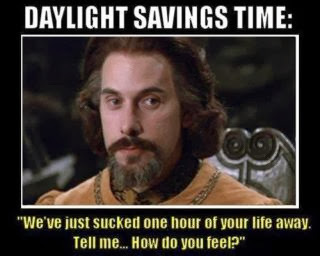 And since my weekend is shortened I am not going to spend any time blogging about why we do it or attempt to convince you that it is actually Daylight Saving (singular) and not Savings (plural). 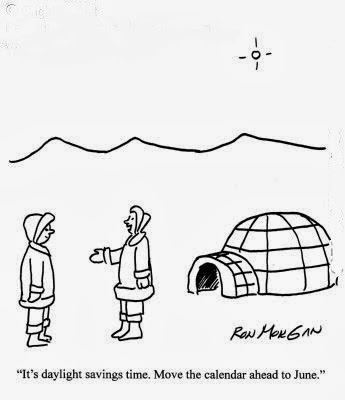 Instead I will share some Daylight Saving Time funnies. Hope you have an awesome weekend, even if it is a bit shorter than usual. Thanks for the laugh! 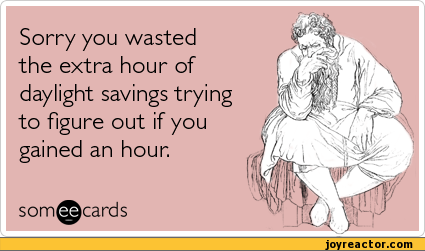 I think I’m guilty of saying Daylight Savings~plural! I never realized it til now. LOL. so, a good laugh and an english grammar lesson all in one spot. 🙂 Thanks for linking up with From the Archives Friday! I say it too, even though I know better.